Brett Drewitt heads to America this week for the Final Stage of the Web.com Q-School tournament to better his status for 2015. Drewitt recently had a great season on the PGA Tour China Series finishing 3rd on the money list and was awarded Player of the Year honours. With conditional status already secured for the 2015 Web.Com season, Drewitt is aiming for a higher finish at Q-School to elevate his standing, with the top-10 and ties exempt until the third periodic re-order of the 2015 season and the 10th-45th finishes exempt until the second periodic re-order. Drewitt’s present status after finishing in the top-5 on the money list on the PGA Tour China Series sees him with the lowest status for the 2015 Web.com season. With access to Web.com Tour tournaments initially determined by a player’s finish position at the Web.com Tour Qualifying Tournament and their original status, a player’s standing on tour is subject to change as a result of the periodic reorder, which according to tour organisers benefits those players who perform best. With a number of recent sponsorship deals already secured, including IJP Design clothing and NSI Sports, and having signed with the same management firm which has overseen fellow Aussie Matt Jones and Americans Ryan Palmer and David Toms, Drewitt heads to the US confident and poised to make his mark. “The great thing about Brett is that his amateur career allowed for some of the golf fans in the US to familiarise themselves with him,” said Drewitt’s management team. Drewitt’s rise to the higher levels of professional golf is a classic Aussie golf story of a boy from the bush doing good. Born in the rural town of Taree on the mid-north coast of NSW, the 24-year-old grew up in Inverell before moving to be based with the Long Reef Golf Club in Sydney. It was here as an amateur Drewitt excelled in match-play tournaments winning the 2010 US Pacific Northwest Amateur – the only Australian amateur to secure an international win that year – the same year he won the Queensland Amateur, and in 2012 he secured the NSW Amateur title. 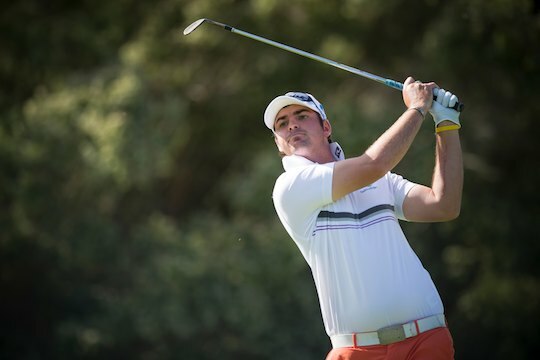 Drewitt’s win at the 2011 SA Classic was his first major stroke-play title and proved his capacity to mix it in four round tournaments and was the spring board to professional golf. As we’ve seen this season in China, Drewitt has the mental fortitude and ability to go to the next level. After the 16th December following the six round Web.Com Q-School series he’s sure to have made another mark, this time in the US.